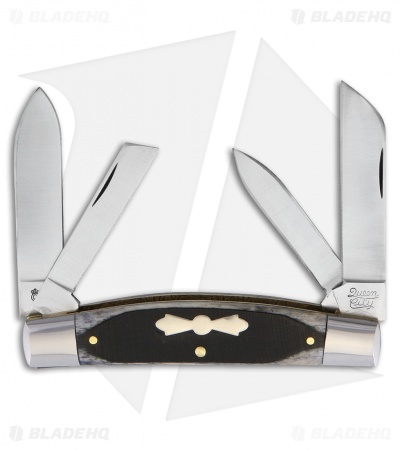 The Queen Cutlery Queen City Congress is a traditional pocket knife that gives you options with multiple blades making it perfect to carry everyday. 1095 stainless steel, nail nick opening, drop point, sheepsfoot and pen blades with a satin finish. Black bone handle with nickel silver bolsters and an inlay shield.